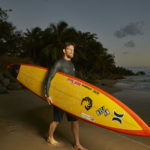 Caption: Two-time Pe’ahi Challenge winner Billy Kemper (HAW) will look for a third-consecutive victory at Jaws during the 2017/2018 WSL Big Wave Tour Northern Hemisphere window. LOS ANGELES, California/USA (Sunday, October 15, 2017) – The Northern Hemisphere portion of the World Surf League (WSL) Big Wave Tour (BWT) officially opens today and will run through February 28, 2018. The world’s best big wave surfers will now prepare to take on three of the most challenging big wave breaks on the planet — Nazaré in Portugal, Pe’ahi in Hawaii, and Mavericks in California. 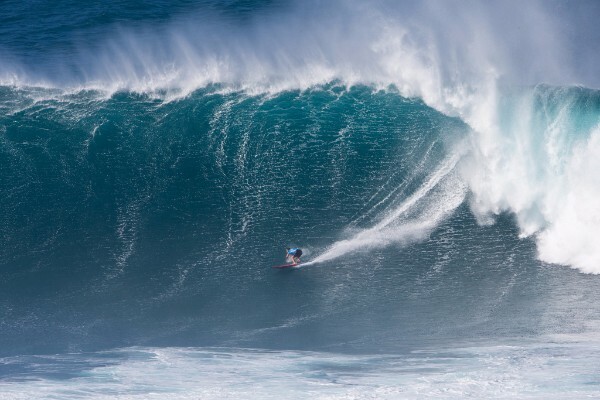 Starting today, the highly-anticipated winter season of the Big Wave Tour will have the opportunity to run the Nazaré Challenge in Portugal and Pe’ahi Challenge in Maui, Hawaii. 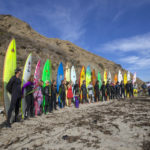 The start date for the competition window for the Mavericks event — along with a traditional opening ceremony — will be set shortly following the coordination with the array of governmental agencies involved with the production of the event. The WSL’s acquisition of the permit for the contest was finalized last week and preparations for the first Mavericks Challenge are now moving forward as swiftly as possible. The Northern Hemisphere season will welcome back the Women’s Pe’ahi Challenge for its second year. A decorated lineup of the leading big wave surfers has been invited to compete at the famed break in Haiku, Maui, Hawaii. Last year’s inaugural event saw Paige Alms (HAW) claim the historic victory. This year’s event will feature six women battling in a one-off Final for the prestigious win. The world’s best female big wave surfers will also have the opportunity to compete at Mavericks this upcoming season. The WSL Commissioner’s Office will work with a committee made up of Mavericks surfing icons to select six of the best female big wave surfers. The committee will consider performance results from the 2016 WSL Big Wave Awards, experience surfing at Mavericks, and overall big wave experience at all big wave locations around the world. The men’s division for the Northern Hemisphere events will consist of a 24-man field, comprised of the Top 10 finishers of the 2016/2017 BWT season, 6 event wildcards, 3 BWT wildcards, 1 injury wildcard, and the Top 4 Surfline Overall Performance of the Year Award recipients. The 6 event wildcards for the Mavericks Challenge will be selected by a committee made up of Mavericks legends and experts. 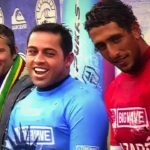 Earlier this year, the 2017/2018 Big Wave Tour completed its first event of the season, the Puerto Escondido Challenge in Mexico, where Kai Lenny (HAW) claimed an exciting victory. Lenny leads the men’s BWT rankings with Jamie Mitchell (AUS) in second place, Tom Lowe (GBR) in third and Billy Kemper (HAW) in fourth. Mitchell, the 2016 and inaugural Nazaré Challenge winner, will look to defend his event title in Portugal. 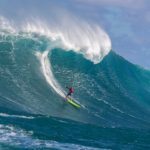 Kemper has dominated the Pe’ahi Challenge since its introduction to the WSL Big Wave Tour and will look for his third-consecutive win at Jaws. WSL Big Wave Tour officials will monitor swell producing storms for the next four-and-a-half months and watch for the conditions that will produce waves in the 30-to-60-foot range. Once the call is made, competitors will have 72 hours notice to be ready to compete.